There are several ways to add more attraction and appeal to your patio. Having a nice patio is a great way to provide an amazing outdoor dining area, and obviously, you will enjoy the view of your garden, and therefore entertain your family and friends. You just need not make it bare or baring, so there are some ways to add more appeal to your patio and bring it back to life. This is a nice option if your patio is not built, or if you are thinking to replace the current patio flooring with a new option. Do not go for the traditional white concrete, use decorative concrete instead. This one involves paving stones stamped with some textures to other mimic materials like slate, stone, or wood. You can also paint them to have variable colors and patterns or to make them look like tile or rocks. This adds a special and a beautiful look to your patio, with the same durability and quality of concrete. It’s very good to add more appeal to your patio, apart from a normal visual look; the functional appeal is also stunning. In a patio, you can create similar spaces to your indoors, but it will let you enjoy fresh air, the look of the beautiful landscape of your yard along with a smell of the herbs. For example, you can build an outdoor kitchen that contains all that you need like a grill, refrigerator, stovetop, countertops and also a full-sized dining table and chairs. You can also build an outdoor living room similar to your indoors but uses furniture that is suitable for outdoor use. Proper lighting is one thing that many outdoor spaces lack. Do not only rely on a pendant light you have on the wall or in your backyard, just add some other small lamps. You may light up the patio with a combination of scattered candles around a table, hanging lanterns, or even hanging string lights, also called fairy lights. This gives you many décor possibilities, with a perfect illumination suitable for different types of modes or occasions. Consider patio features, there are several ways where you can improve the look of your patio that is just beyond lighting or decoration. You can just add some bigger features that may bring a more visual appeal to your patio, and this will provide more entertainment to the patio you enjoy staying in. As for example, you may add a fire pit which is really available in many sizes and styles. Also, you can center the patio furniture around a fire pit to enjoy the warmth in cold weather or in the evenings while relaxing at your patio. It’s amazing to have more entertainment and add a great feature of a large water fountain that may have a waterfall. This brings aesthetic appeal to your patio and provides a soothing great sound while having a nap. 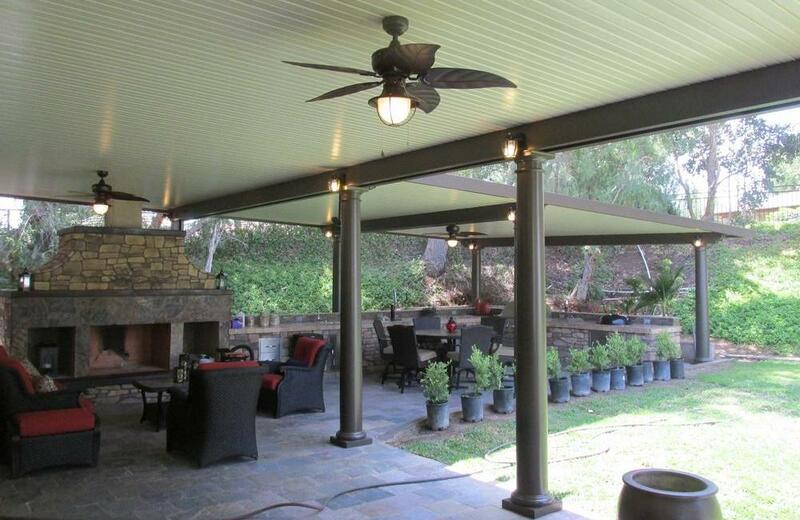 For more information about how Quality Home Improvement, Inc can help with your next patio project, call (800) 275-2154 or click here: https://www.qhiinc.com/patio-enclosure-supplier/.